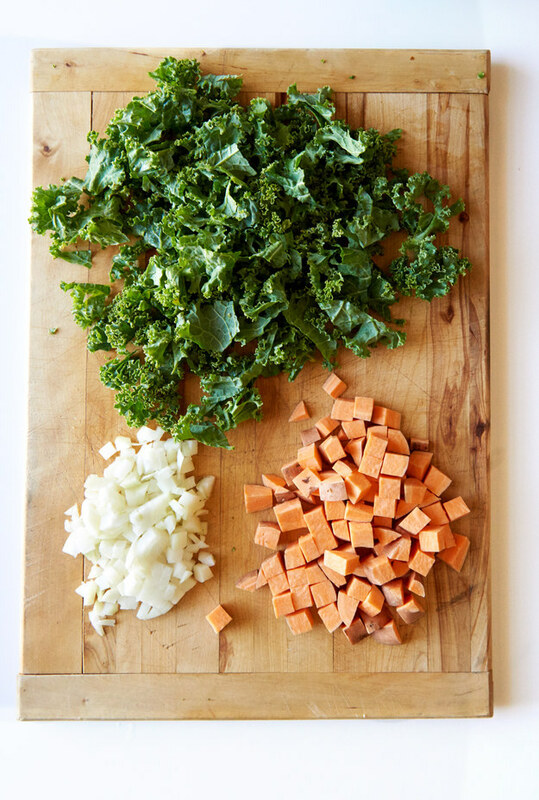 First, prep the sweet potato, onion, and kale. 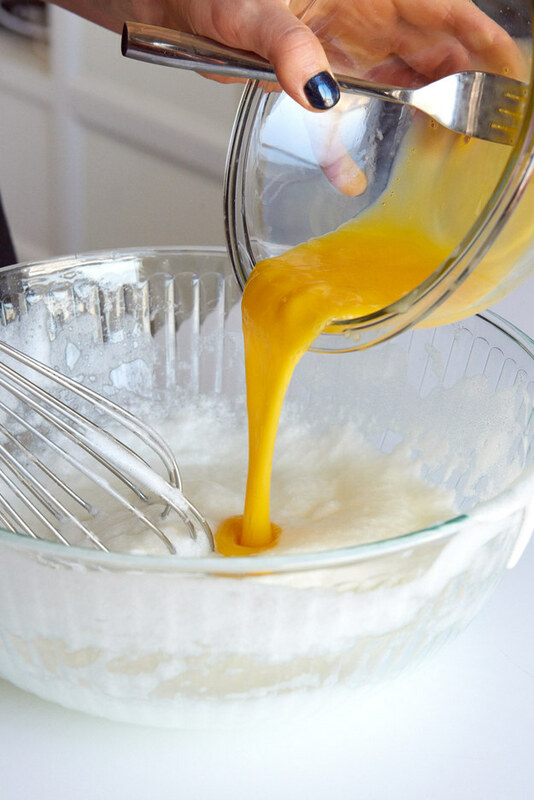 The egg whites should be in a large mixing bowl, and the yolks should be in a smaller mixing bowl. 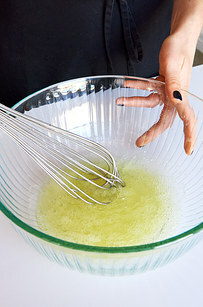 Thoroughly whisk the eggs whites, until they hold stiff peaks. 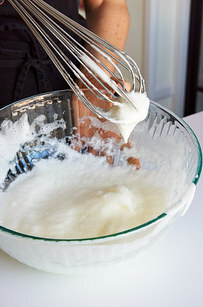 In less fancypants terms, “stiff peaks” means that when you pick up the whisk, the egg whites make a peak and stay there, as opposed to “soft peaks,” where the egg whites make a peak for a second and then fall down. 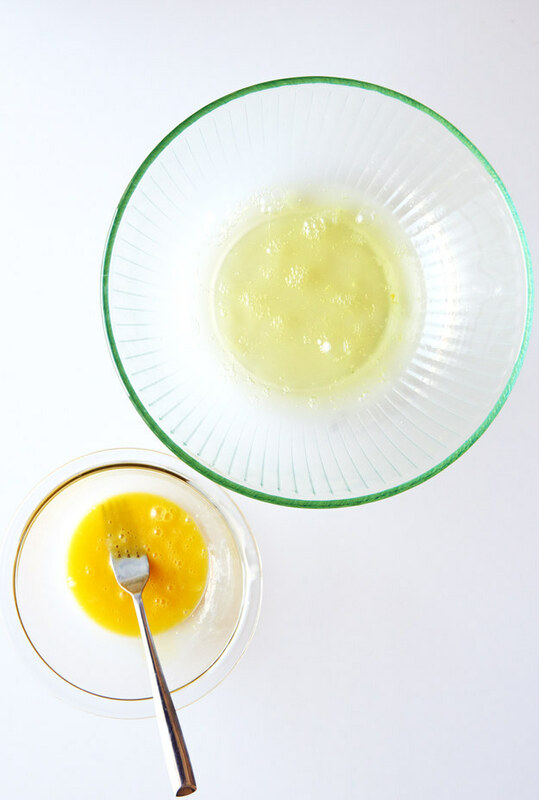 Pour in the egg yolks and whisk very gently just to combine everything, then set it aside in the fridge. 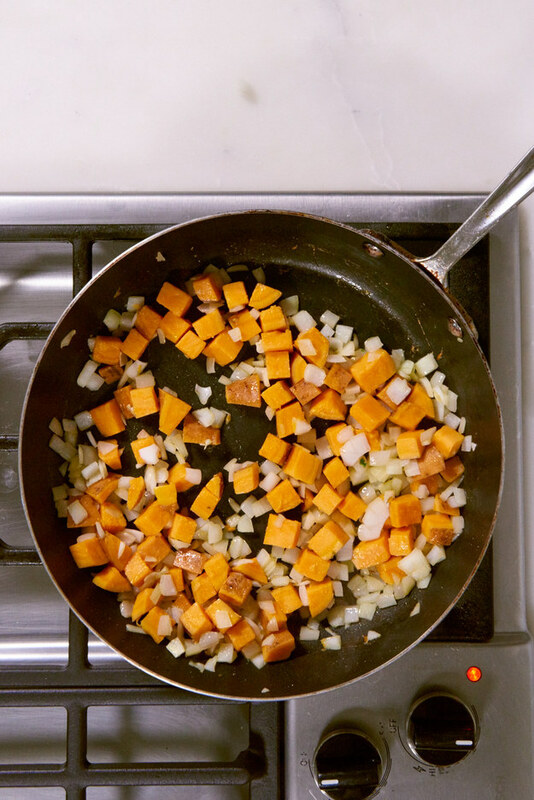 Put the sweet potatoes in a large, nonstick skillet. 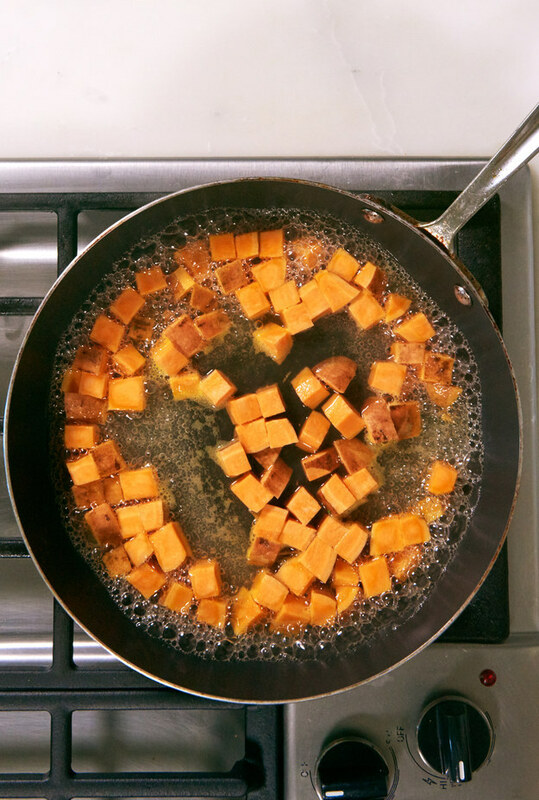 Add a cup of water, bring it to a boil, then reduce the heat to a simmer and cook until the sweet potatoes are soft on the outside and there’s no water left. It should take about 8 minutes for all that water to evaporate. 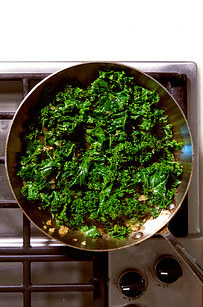 Add olive oil, onion, and salt and pepper, and cook until the onion starts to soften. It’ll take about a minute, stirring often. 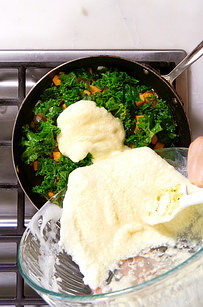 Add the kale and cook until it’s dark green and a little soft, then spread the vegetables out and pour the egg mixture in an even layer on top. 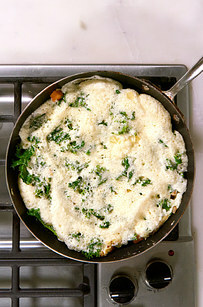 Cook the frittata until it’s puffed up and set, but still a little jiggly in the middle. It should take 5 to 6 minutes at 450°F. 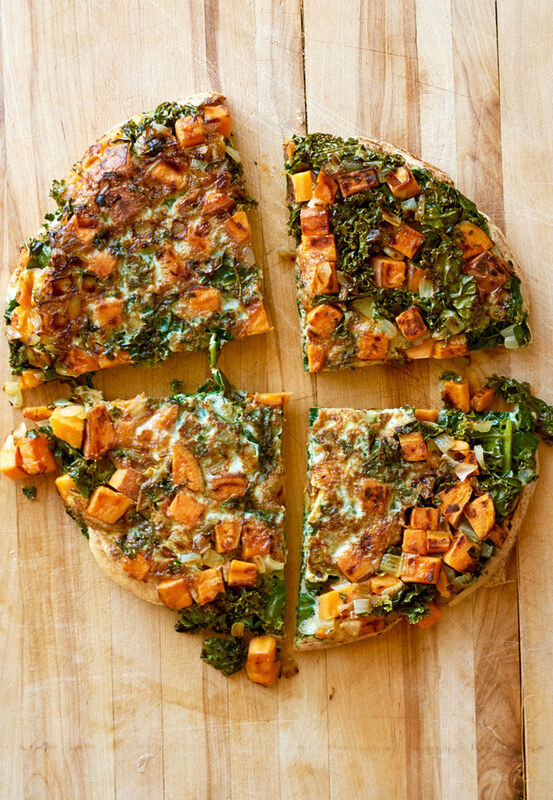 Let it cool for 5 minutes, then flip the frittata onto a cutting board and cut it into 4 pieces. 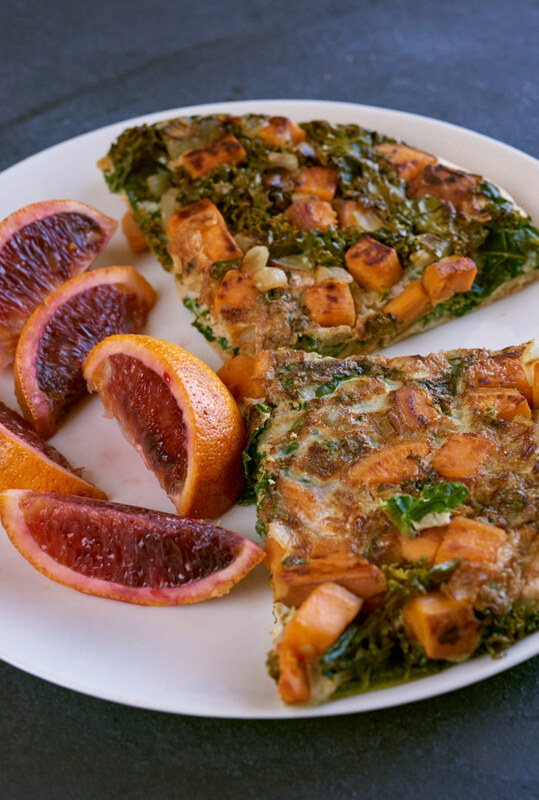 Serve half the frittata with half a blood orange. 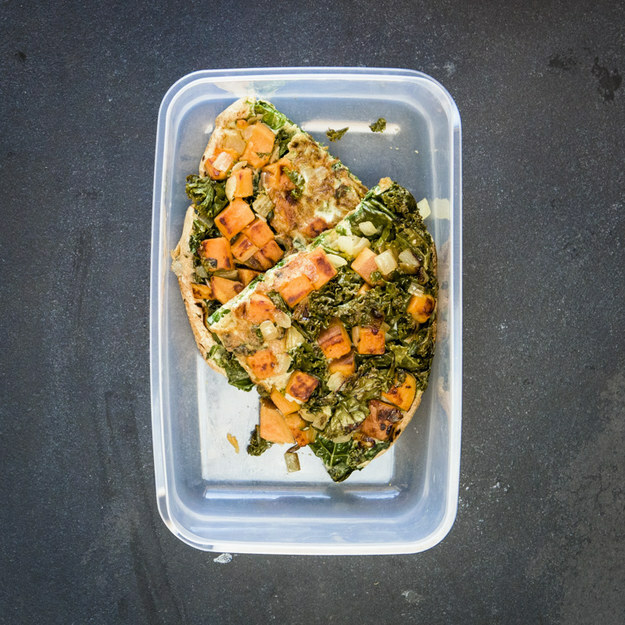 Let the other half cool completely, then store it in an airtight container in the fridge for tomorrow’s lunch. 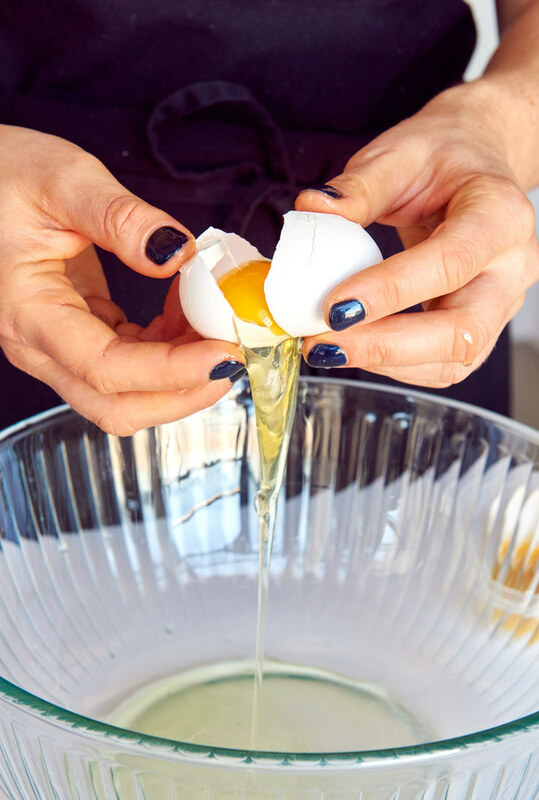 Need an even more in-depth step-by-step? Watch the video!